What is the cheapest way to get from Croton-on-Hudson to Tuckahoe? The cheapest way to get from Croton-on-Hudson to Tuckahoe is to drive which costs $2 - $4 and takes 30m. What is the fastest way to get from Croton-on-Hudson to Tuckahoe? The quickest way to get from Croton-on-Hudson to Tuckahoe is to taxi which costs $100 - $130 and takes 30m. Is there a direct bus between Croton-on-Hudson and Tuckahoe? No, there is no direct bus from Croton-on-Hudson to Tuckahoe. However, there are services departing from N Riverside Ave @ High St and arriving at White Plains Post Rd @ Gifford St via White Plains Bus Terminal Lane C. The journey, including transfers, takes approximately 2h 7m. How far is it from Croton-on-Hudson to Tuckahoe? The distance between Croton-on-Hudson and Tuckahoe is 18 miles. The road distance is 24.6 miles. How do I travel from Croton-on-Hudson to Tuckahoe without a car? The best way to get from Croton-on-Hudson to Tuckahoe without a car is to line 14 bus which takes 2h and costs $5 - $21. How long does it take to get from Croton-on-Hudson to Tuckahoe? 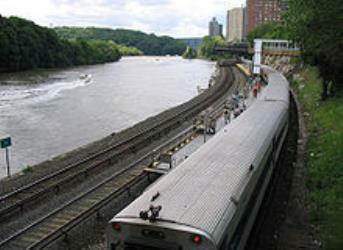 It takes approximately 2h to get from Croton-on-Hudson to Tuckahoe, including transfers. Where do I catch the Croton-on-Hudson to Tuckahoe bus from? Croton-on-Hudson to Tuckahoe bus services, operated by Westchester County Bee-Line System, depart from N Riverside Ave @ High St station. Train or bus from Croton-on-Hudson to Tuckahoe? The best way to get from Croton-on-Hudson to Tuckahoe is to line 14 bus which takes 2h and costs $5 - $21. Alternatively, you can train, which costs $17 - $45 and takes 2h 6m. Where does the Croton-on-Hudson to Tuckahoe bus arrive? Croton-on-Hudson to Tuckahoe bus services, operated by Westchester County Bee-Line System, arrive at White Plains Post Rd @ Gifford St station. Can I drive from Croton-on-Hudson to Tuckahoe? Yes, the driving distance between Croton-on-Hudson to Tuckahoe is 25 miles. It takes approximately 30m to drive from Croton-on-Hudson to Tuckahoe. What companies run services between Croton-on-Hudson, NY, USA and Tuckahoe, NY, USA? Westchester County Bee-Line System operates a bus from Croton-on-Hudson to Tuckahoe hourly. Tickets cost $2 - $8 and the journey takes 1h 15m. Alternatively, you can take a train from Croton-on-Hudson to Tuckahoe via Croton Harmon Railroad Station, Croton-Harmon, and Harlem-125th St. in around 2h 6m. Train from Croton-Harmon to Harlem-125th St.
Rome2rio's Travel Guide series provide vital information for the global traveller. Read our range of informative guides on popular transport routes and companies - including How to get from Florence to Rome, Travelling by boat in Italy and Is ride-sharing platform BlaBlaCar right for you? - to help you get the most out of your next trip. Where can I stay near Tuckahoe? There are 835+ hotels available in Tuckahoe. Prices start at $109 USD per night. Discover how to get to attractions and hotels near Tuckahoe. The Bronx Zoo is a zoo located in the Bronx, a borough of New York City, within Bronx Park. It is the largest metropolitan zoo in the United States and among the largest in the world. On average, the zoo has 2.15 million visitors each year. It comprises 265 acre of park lands and naturalistic habitats, through which the Bronx River flows. The New York Botanical Garden (NYBG) is a botanical garden and National Historic Landmark located in the Bronx, New York City. The 250 acre site's verdant landscape supports over one million living plants in extensive collections. Each year over one million visitors visit the garden's remarkable diversity of tropical, temperate, and desert flora, as well as programming that ranges from exhibitions in the Haupt Conservatory to festivals on Daffodil Hill. Yankee Stadium is a stadium located in the Concourse section of the Bronx, a borough of New York City. It serves as the home ballpark for the New York Yankees of Major League Baseball (MLB). The $2.3 billion stadium, built with $1.2 billion in public subsidies, replaced the original Yankee Stadium in 2009. It is one block north of the original, on the 24-acre former site of Macombs Dam Park; the 8-acre site of the original stadium is now a public park called Heritage Field. The stadium incorporates replicas of some design elements from the original Yankee Stadium, and like its predecessor, it has hosted additional events, including college football games, soccer matches, two outdoor NHL games, and concerts. Although Yankee Stadium's construction began in August 2006, the project spanned many years and faced many controversies, including the high public cost and the loss of public parkland. The overall price tag makes the new Yankee Stadium the most expensive stadium ever built. It is also the home park for New York City FC of Major League Soccer (MLS). The Cloisters is a museum in Upper Manhattan, New York City specializing in European medieval architecture, sculpture, and decorative arts, and is part of the Metropolitan Museum of Art. Its early collection was built by the American sculptor, art dealer, and collector George Grey Barnard, and acquired by John D. Rockefeller, Jr. in 1925. Rockefeller extended the collection and in 1931 purchased the site at Washington Heights and contracted the design for the Cloisters building. Rome2rio makes travelling from Croton-on-Hudson to Tuckahoe easy. Rome2rio is a door-to-door travel information and booking engine, helping you get to and from any location in the world. 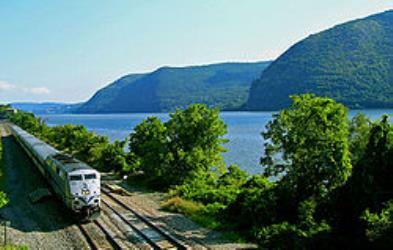 Find all the transport options for your trip from Croton-on-Hudson to Tuckahoe right here. Rome2rio displays up to date schedules, route maps, journey times and estimated fares from relevant transport operators, ensuring you can make an informed decision about which option will suit you best. Rome2rio also offers online bookings for selected operators, making reservations easy and straightforward.